LG G6 will be introduced at the MWC. 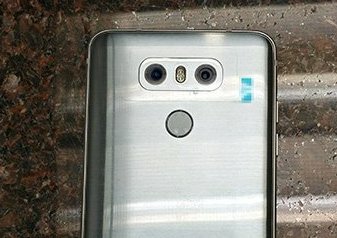 LG G6 said to feature a Dual 13MP Rear camera with one of the cameras will offer a 125-degree lens for capturing wide shots. The front camera will have a 100-degree wide-angle lens compared to a 120-degree lens on the V20, but the resolution is not known yet. It is expected to feature Hi-Fi Video Recording and manual camera mode, similar to the V20. Expected to come with a 32GB/64GB storage, microSD card slot, a 3,300 mAh battery, 4GB of RAM, Qualcomm Snapdragon 821 SoC. LG already said that the G6 will come with LG UX 6.0 offering improved camera UX that maximizes the extra real estate provided by the 18:9 format display to enable users to take and review photos simultaneously. It will provide a Square Camera feature which divides the 18:9 display into two identical perfect squares. This lets users shoot images in 1:1 format and review them in the adjacent window. It will offer 360 panorama mode that captures the surrounding scenery as if it was shot with a VR camera with a wide-angle and a new ‘Food Mode’ will offer high color quality and saturation ideal for capturing food. LG G6 will be introduced at MWC 2017 in Barcelona in Spain this Sunday, February 26th.